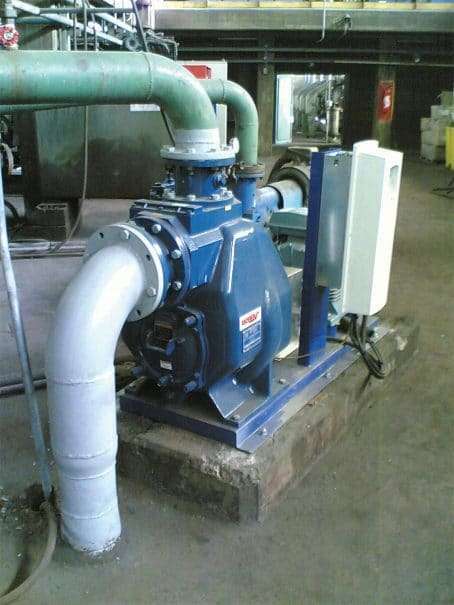 A large Pet Food Manufacturer has recently chosen Gorman-Rupp self priming pumps for their wastewater pump application. The producer wanted a pump with a low life cycle cost and one that would be safe for operators to monitor and maintain. The flow dictated the selection of a Gorman-Rupp T3A60S-B wastewater pump, which is the smallest in the Gorman-Rupp “Super T” family. 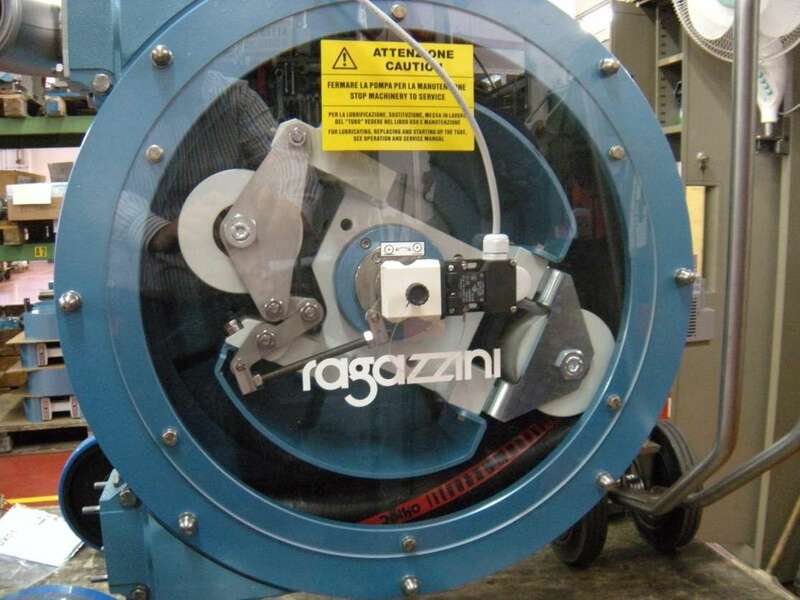 The pump is capable of delivering a maximum flow up to 25 litres per second, a maximum head of 33 metres, and is capable of operating on a suction lift up to 7.6 metres. Although the smallest in this range, the self priming pump is still capable of passing a 63mm spherical solid and is also fitted with a self cleaning wear plate system, enabling it to handle stringy materials such as rags, gloves and wet wipes. A large removable cover plate gives operators to access pump internals without the need to disconnect the pump from the piping system. 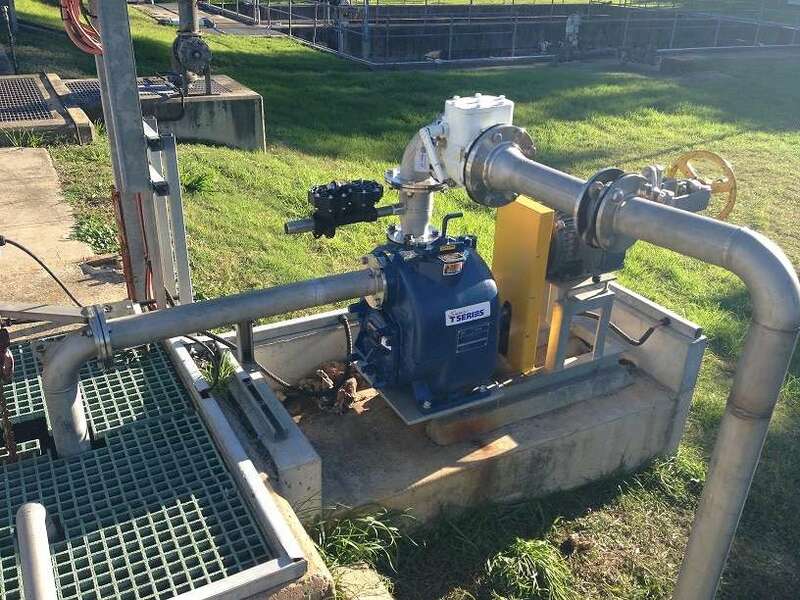 The Pet Food Company wanted the wastewater pump located outside of the wastewater pit so that operators had easy and safe access to the pump. Besides positively affecting safety, being easy to access and no need for cranes or any other lifting device also reduces maintenance cost. 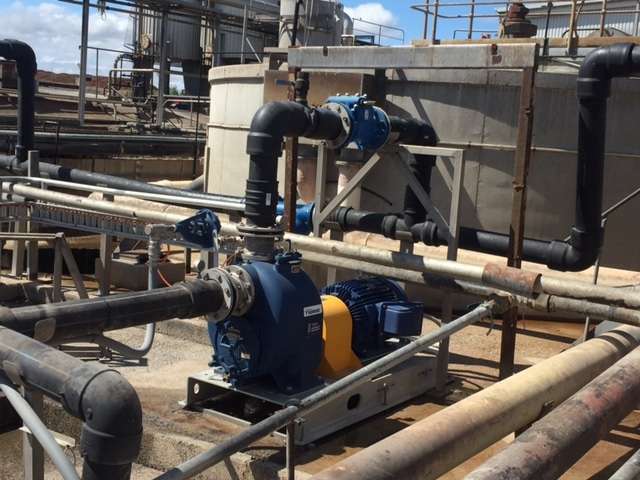 Genuine Gorman-Rupp self priming pumps deliver reliable and effective wastewater pumping to those Water Authorities, Councils and businesses around Australia looking for safe and cost effective pumping.